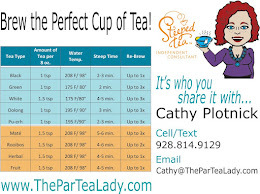 Award-earning Steeped Tea Independent Consultant ~ Cathy@TheParTeaLady.com Ranked #1 in US Sales, #5 in US recruiting 2015/2016. Going Coconuts for Coconut Matcha! Who LOVES Coconut? 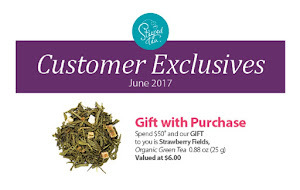 For a limited time, get Steeped Tea Coconut Matcha for $15 with a $55 purchase! 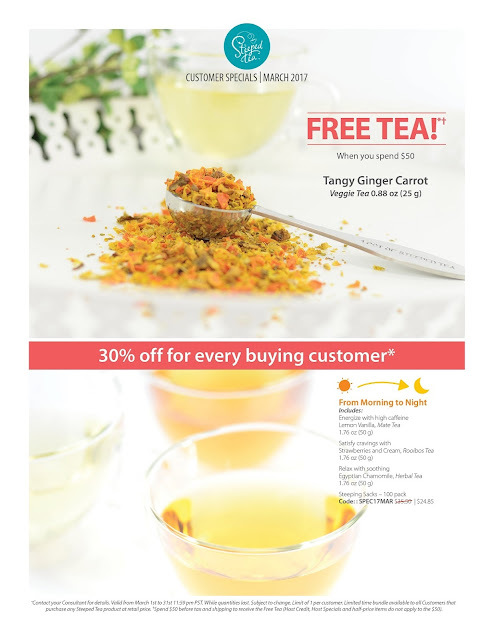 PLUS you get FREE Strawberry Fields Green Tea too! 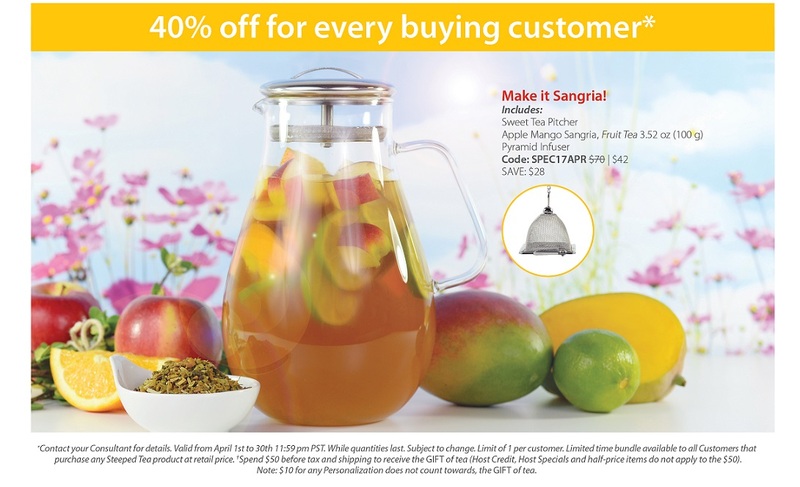 Add Code SPEC17JUN and the sale price will add to your cart! It is flying off the shelves and I predict they will sell out! Don't miss out on this FAB Matcha as you kick off summer! 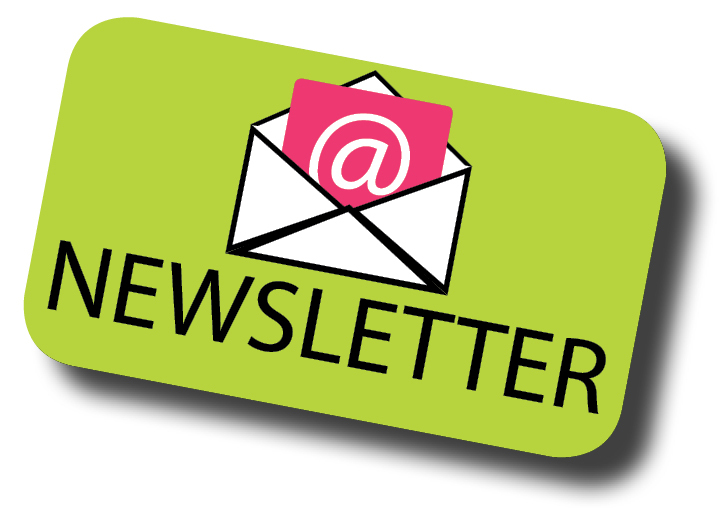 Check out recipes below! Tastes like Coconut Cream Pie in your mouth!! Whisk or shake Almond Milk and Matcha. Put in pot and heat on stove (do not boil). Add 1 Tbsp Cream of Coconut. Pour into cup. Froth Milk for Topping. You can also add ice to flash chill it! 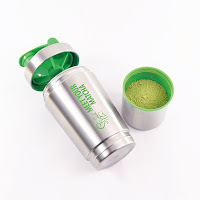 Shake it up in Meet your Matcha Shaker! 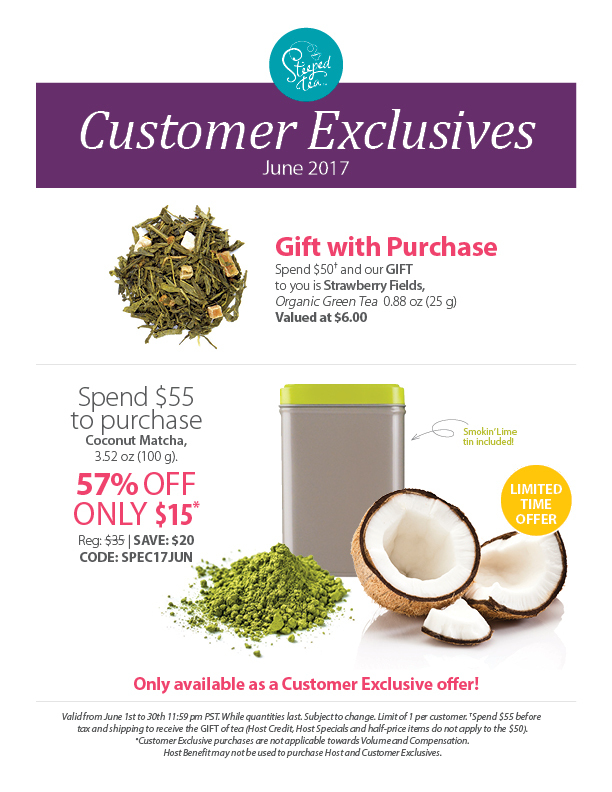 Get your Steeped Tea Coconut Matcha in June ONLYwith $55 purchase! CALL OR PM me to order! I am so excited! 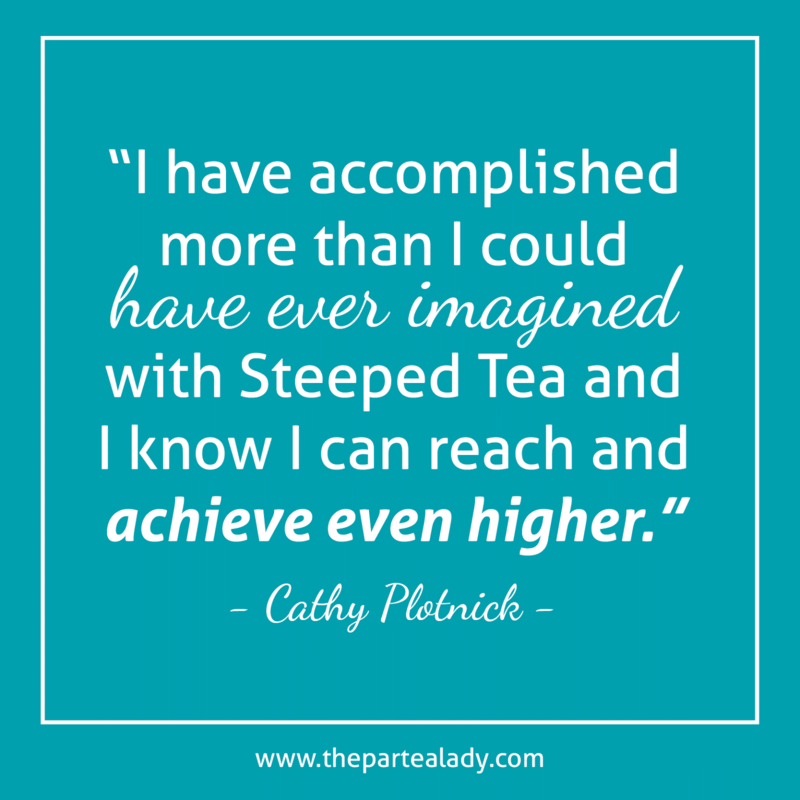 I have earned my THIRD trip with Steeped Tea! In Jan 2016, I went on a trip for 2 to Jamaica I earned. 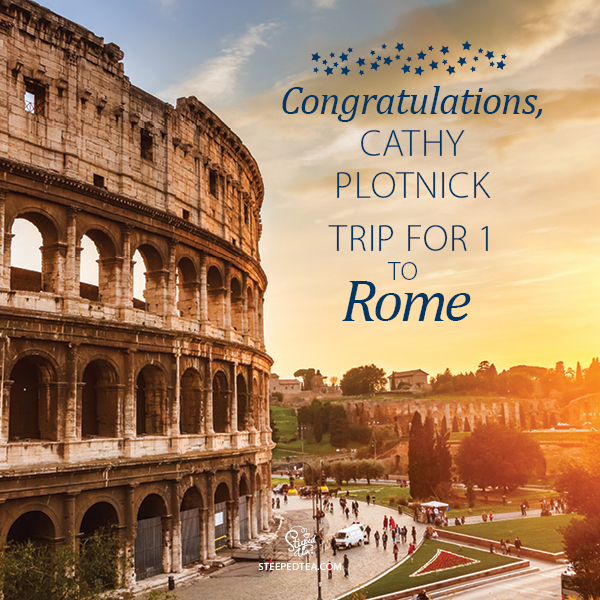 This past January, I went on a trip for 2 to Maui and this September, I am going on a Trip to Rome! 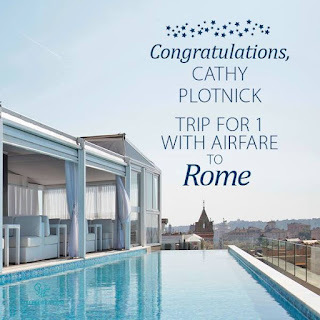 I have earned the airfare and there is still time for me to earn it for my husband too! Matcha is the 'Champagne of Tea' and so very good for you! Great segment on the benefits of Matcha on Dr. Oz. Just like Steeped Tea is like the prime rib of Tea, Steeped Tea Matcha is the Champagne of green tea! Not all brands of Matcha are alike - Steeped Tea Matcha is the highest quality matcha you can get outside of Japan 100% green tea, no artifical flavours, no chemicals and NO sugar! Visit My Website to try Matcha! Bar None, the BEST Customer Special EVER! 100g Apple Mango Sangria Fruit Tea and Pyramid Infuser for $42! 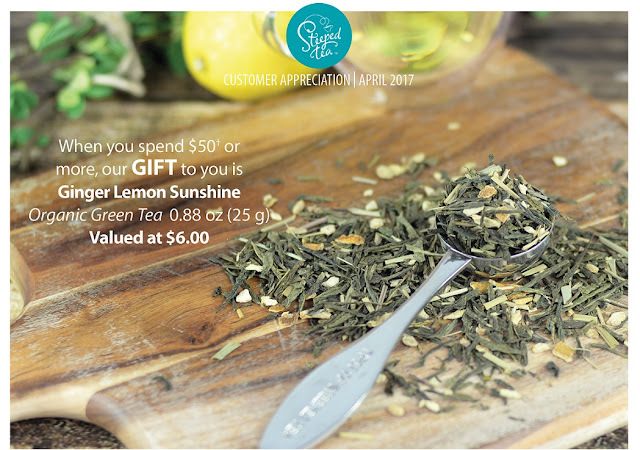 Ginger Lemon Sunshine Green Tea! Pop top itself is $40! Want this gorgeous Organic Green Pop Top? Contact ME me to book your April Party! 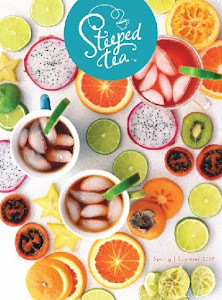 Want a Steeped Tea Catalog mailed to you? type of tea you are making! 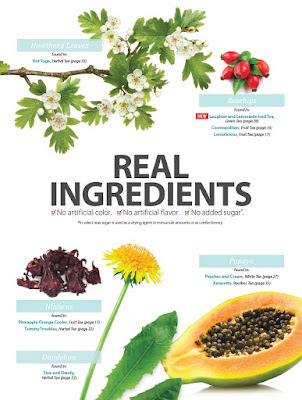 Steeped Tea Uses Real Ingredients! 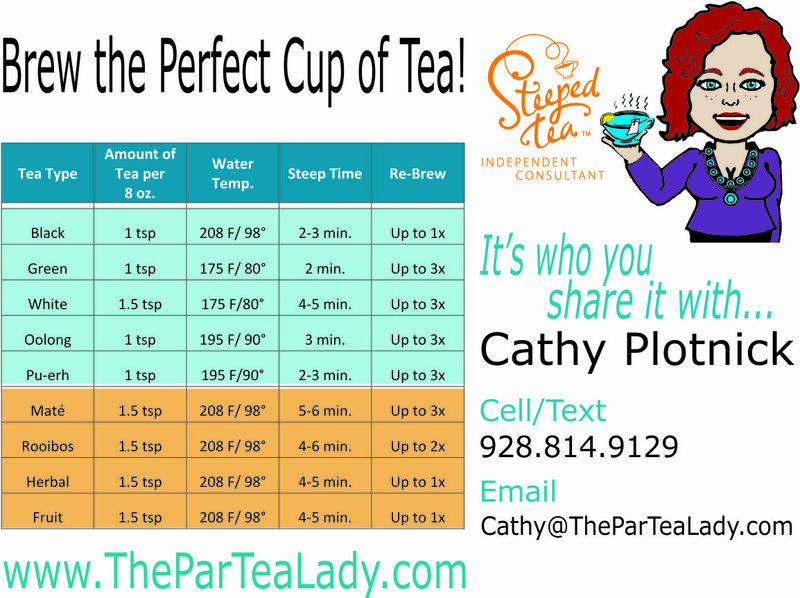 I have been asked many times about the Natural Flavors in Steeped Tea. 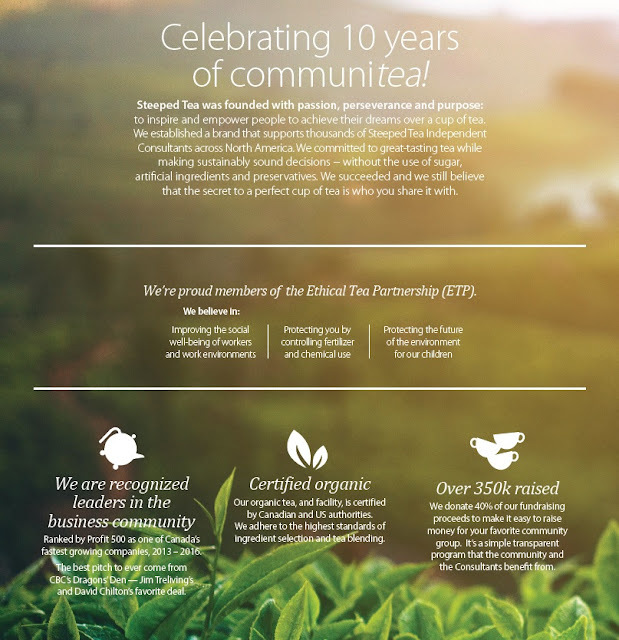 As members of the Ethical Tea Partnership, we must follow UK guidelines for use of natural flavors which are far more stringent than the lack of regulations in Canada in the US. 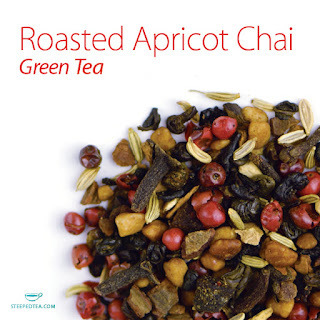 Steeped Tea natural flavours are extracted from plants without chemical manipulation. They are made by extracting the oils from a nut, seed or plant. Lemon oil for example, is made by squeezing and collecting the oil directly from the rind of a lemon. Adding oil extracts like bergamot oil, rose oil, and lemon oil fall under natural flavors. 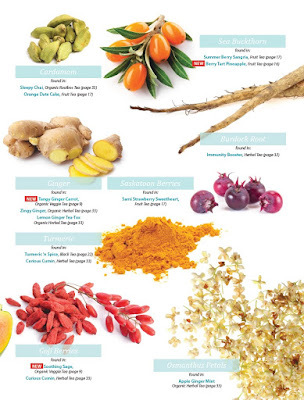 When mixed they give a unique and identifying taste and fragrance that cannot be patented. 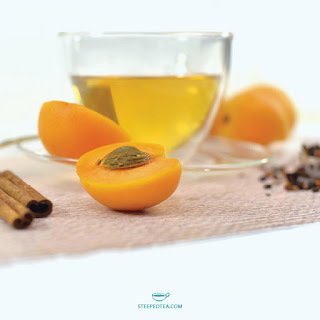 The natural flavorings Steeped Tea uses are all botanical and their purpose is to enhance taste and fragrance and not to provide any nutrition. That is why a miniscule amount is used in tea. Because natural flavors are proprietary and cannot be patented, they are not indicated by their constituents UNLESS they contain a government controlled or restricted allergen (like nuts) that must be disclosed. 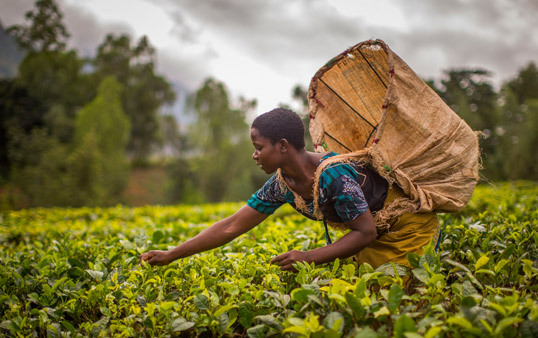 Read about The Ethical Tea Partnership, which creates a fairer, better, more sustainable tea industry - for tea workers, farmers, and the environment. Never before has Steeped Tea done this!! In MARCH ONLY, when you join my team, you can earn the cost of your kit back! 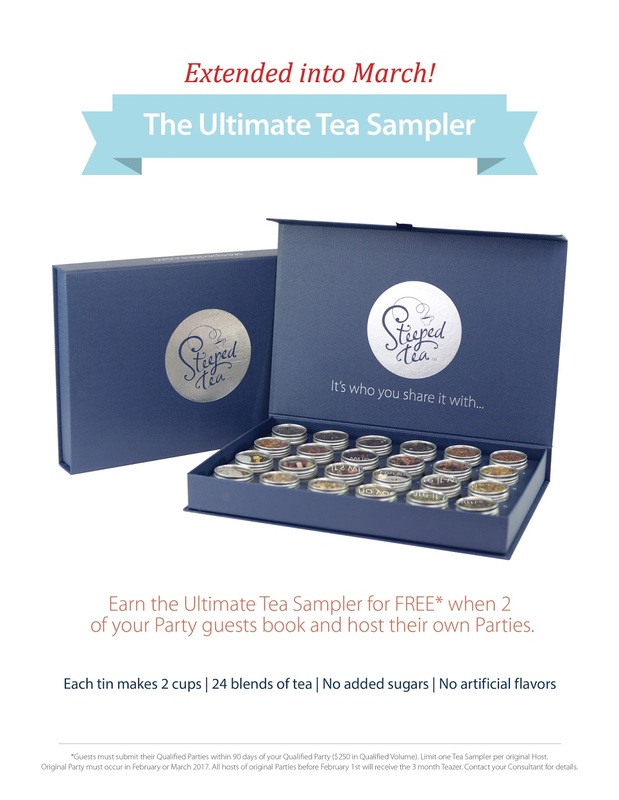 That's right, you can get your Steeped Tea Starter Kit absolutely FREE! 2. Hold and Submit 3 qualified parties within your first 30 days of signing up to be reimbursed $99 from the Starter Kit purchase. 3. 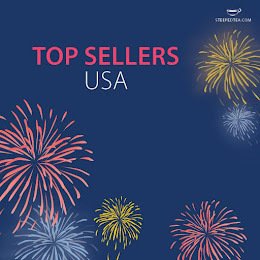 Qualified Parties are $250 in sales. 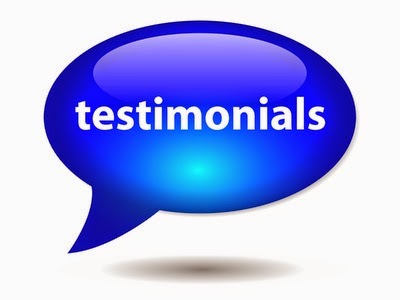 New Consultant will be reimbursed by May 3rd, 2017. When you sign up in March, you will also get the Ruba TeaPot absolutely FREE in addition to your Starter Kit! 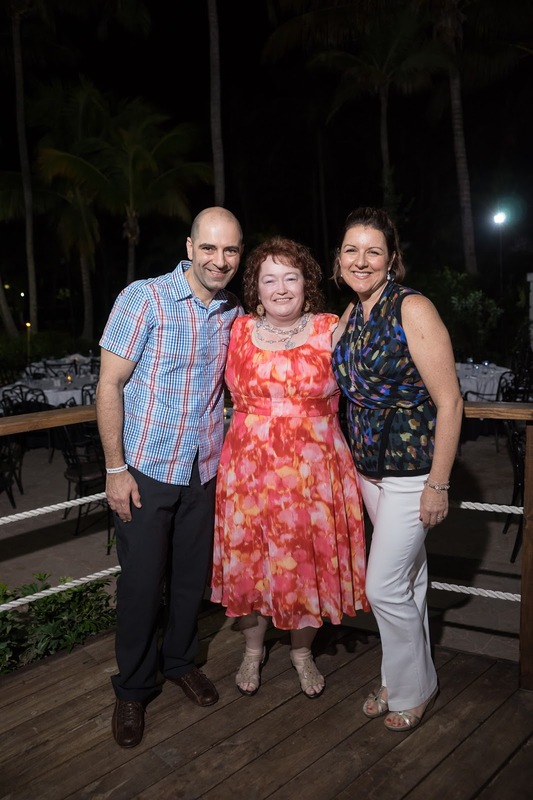 If all that isn't enough, by holding the 3 qualified parties in your first 30 days, you will also earn your first Success Start! I'm calling this March Madness because of all the specials this month! 24 delicious teas in a beautiful box with 2 qualified party bookings! Tangy Ginger Carrot Veggie Tea! Earn your $99 Kit Cost back in March! BIG NEWS! 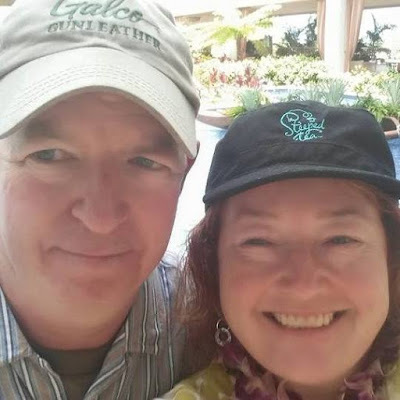 MYSTERY HOSTESS EVENT! I leave for Maui in 2 days. I couldn't have done it without all my hostesses and customers! 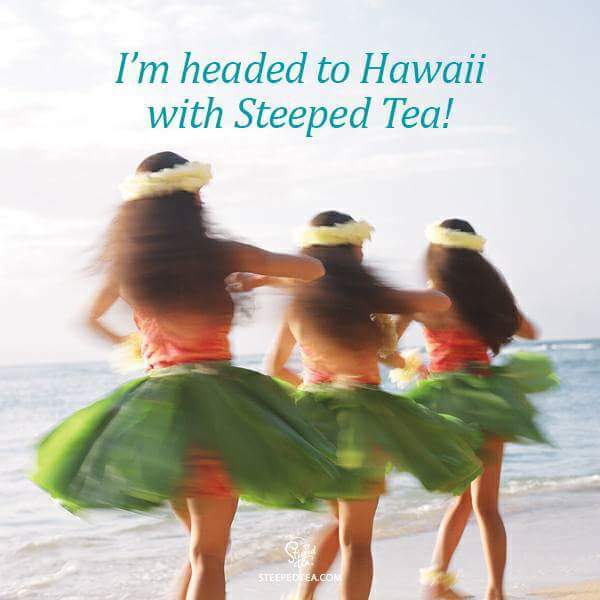 In appreciation, during January double host credit month while I am in Maui, all orders $50 or more on this ParTea will receive 20% off their order and then one lucky person will be drawn to win the hostess benefits from the combined Partea order! 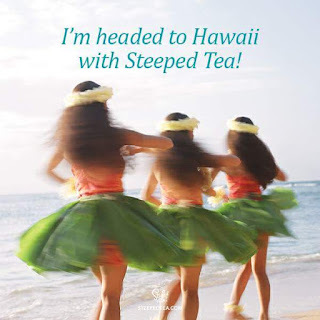 $500 in orders will generate $200 in FREE Steeped Tea Product! Stock up on vaulted/discontinued product from the Vault list! TO ORDER: To be entered, you MUST order from this direct link to take advantage of this great deal! 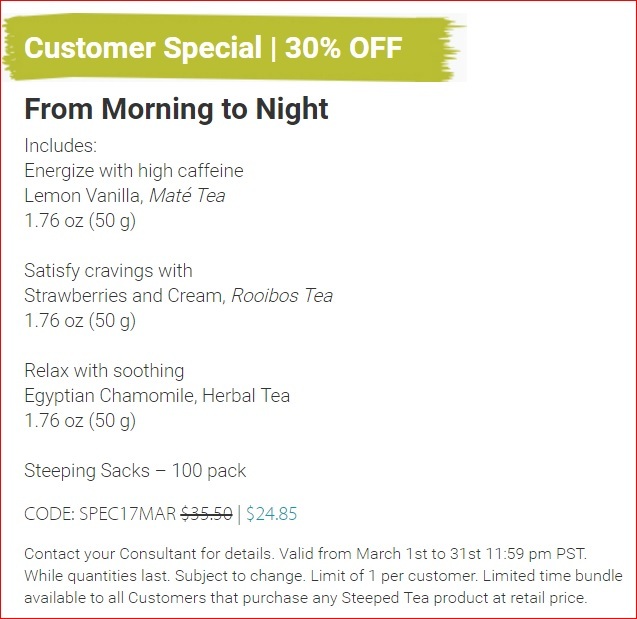 The 20% off will not display on your order. I will adjust on my end. Orders must be placed by midnight CST Jan 14. 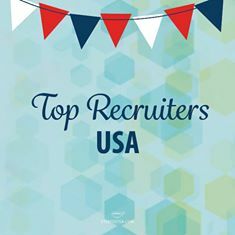 Winning hostess must provide what she wants for double host credit by noon CST Jan 15/2017. If the order is not provided by noon CST Jan 15, the winner forfeits the mystery hostess award and I will draw for a replacement winner. NOTE: All total orders for this mystery host event must total at least $250 for the partea to qualify for double host credit. Since it is double host credit month, whomever wins the credits wins BIG! 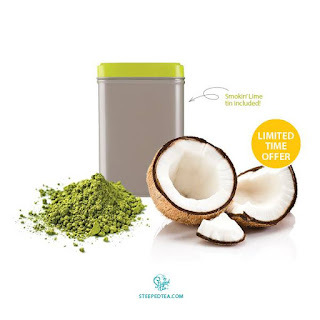 Coconut Matcha for $15 with $55 Purchase! 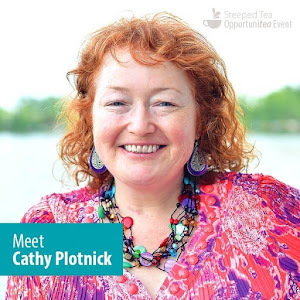 Cathy Plotnick AKA "The ParTea Lady"
Book a ParTea and I will show you how! 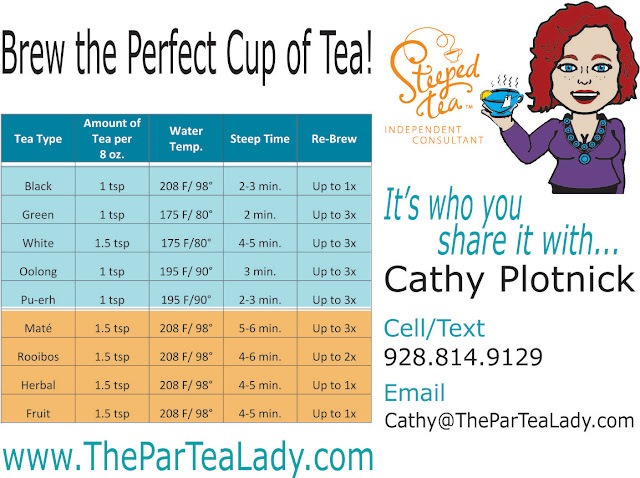 Discover the Finest Premium Tea with the ParTea Lady!